Home - PokeDash - iPod + Valentine&#039;s Day Sale! iPod + Valentine's Day Sale! Check out our newest feature addition: the iPod! Come jam out to some of your favorite tunes with a Minecraft-y twist in /ipod. That’s right, hear the equivalent noteblock beats beamed straight into Steve’s ears! Note: Make sure you have your Jukebox/Noteblocks volume setting ON and Music OFF to be able to hear properly! 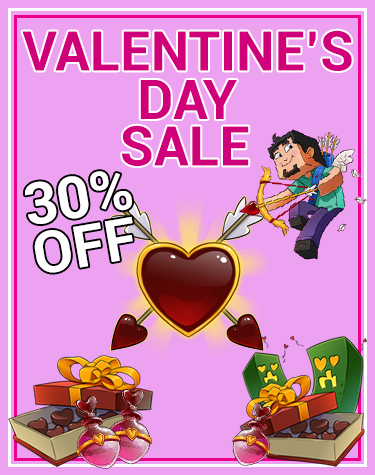 To celebrate the month of love we’ll also be launching a 30% off sale on all packages for a limited time! Get that rank you’ve been wanting now while it’s cheap!